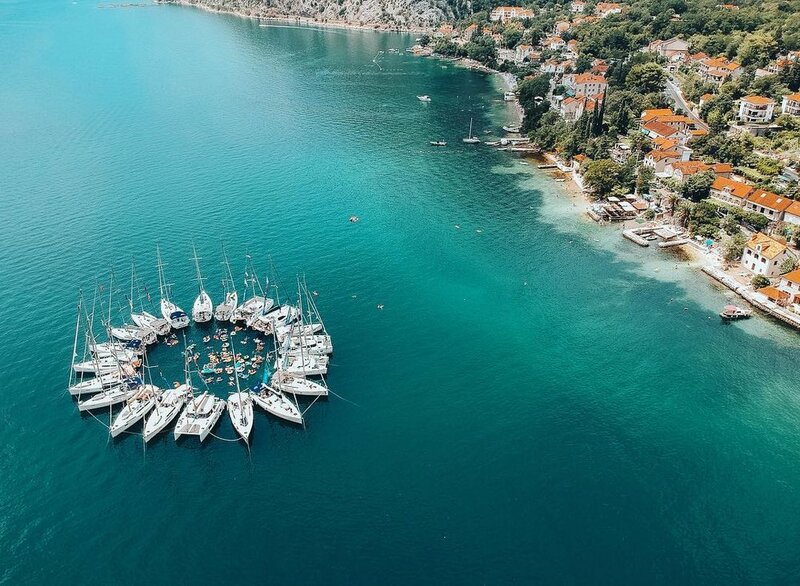 Welcome to The Yacht Week, home of the famous floating festival. A boutique sailing experience set along the beautiful coastline of the Croatia, Applebum takes over week 32 bringing our signature soundtrack to the Adriatic sea. Explore hidden coves, eat at the finest of restaurants and party until dawn. Croatia's serene waters and enchanting towns create the perfect stage for an insane experience, and Applebum will be there providing the soundtrack every step of the way. To receive your discount, enter "Applebum" in the 'how did you first hear about us?" section, discount will be applied after the first deposit has been made! Acclimatise to the simplicity of life at sea and head over to Trogir. Marvel at the gorgeous architecture and delicious local cuisine before enjoying your first evening with The Yacht Week. What better way to explore the beautiful little town of Vis than by scooter? Rent your ride and weave your way through the hills before parking up and enjoying a picturesque sunset dinner at Fort George. Afterwards, the real party begins. Heads up, the theme is Tropical Retro. Take to the winding stone streets and spend the day exploring. Feel the wind in your hair venturing by open top VW. Be sure to check out Milna, a little seaside village tucked away from the hustle and bustle in which you can try homemade olive oil, buy fresh lavender and drink refined local refreshments. This is a day for your skipper to show you the ropes and explore surrounding small islands. Join us for a free yoga class with our yogi master or perhaps jump on a boat for a little island hopping and discover hidden caves of glittering green and ethereal blue. Either way, spend the day unwinding and then return to land for our Riviera Chic themed party at Carpe Diem. Seize the day and party till dusk. The day you've all been waiting for... Regatta day! And the race is on. When you've finished sailing select the perfect spot to anchor drop; we'll be rafting together in traditional Yacht Week party style, sounds brought to you by The Buzz. Spontaneity prevails and the day often ends in late night parties on the yachts. Today we head to Croatia's most famous beach, the 'Golden Cape', Zlatni Rat. Get your game face on and get ready for a day of team activities and exploration. We finish the night at the open-air club 585, featuring a custom sound-system, light show and international headline DJs. By now you should know the difference between bow and stern and be going full speed ahead. If the line-up for the fuel docks is looking like a grueling wait, why not explore Split? Sit back, relax and enjoy a coffee on the waterfront. Then get ready to go out with a bang, literally, and dress to impress for the grand finale. *Please note that Applebum customers are those people who have attended an Applebum event.